Addis Ababa (Ethiopia) – January 2, 2019 (travelindex.com) – The African Union’s (AU) long held ambitions for a fully integrated continent is closer to becoming reality this year thanks the vision of one particularly ambitious airline and more governments tweaking their visa policies for fellow Africans. Almost three decades after it was first proposed, African countries finally launched the Single African Air Transport Market (SAATM), a major step towards opening the continent’s skies. This version of the AU initiative is largely based on the Yamoussoukro Decision of 1999 (pdf). As industry insiders have long claimed, the single air market should result in cheaper and more regular flights between African cities in the long-term. The reality for many African travelers has involved expensive and complicated trips between African cities with multi-stop itineraries—sometimes in Europe before heading back to the destination African city. African countries also became marginally more open in 2018, building on the success recorded last year. The African Development Bank’s 2018 Africa Visa Openness Index showed the small improvements, but even then Africans still require visas to travel to over half of other African countries. One highlight in visa liberation policies saw Ethiopia open up its borders to African visitors with a visa-on-arrival push, the largest African country by population to do so to date. All of the top 20 most visa-open nations in Africa saw increased travel and tourism figures, the Visa Openness Index says. 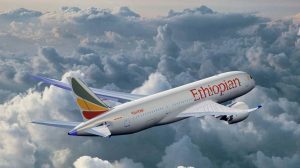 As Africans fly more around the continent for tourism or trade, it’s likely they will do so via Ethiopian Airlines and carriers it has partnered with or helped revive as part of its strong pan-African strategy.